The name of our Clan „Deutsches Afrika Corps". (1) We play together CoD. We define a current of clan game. Each member must have and also play this game. Exchange about our Experiences and adventures we do over Teamspeak and Forum. Personal Contacts in the real Live is also a goal and we try to do that. Respect and decency to the other Members and Players that's understood. (2) New Games: For to implement new Games, that's must decide by the majority of Members ( over 50%). (3) Clan-Meeting: One Time per year we would like to make a Meeting. (4) Fight against other Clans: We would like make Fights against other Clan, where all Members give the best for to win this match. Every Members should be a great Fighter and play with proudly and honours. The Visit from the trainings is necessary and will be expect. (5) The Clan D.A.K. has no political objectives and has also no political orientation. Any racist ideas and their expression and distribution is prohibited. (1) Member of the Clan could be all natural Persons. For admission a new member, needs all positive votes from the members. In special Situation with difficult discussion and problems, has the directorate a veto right. Official Start from a new Member will be, when the directorate gives the communicate. (2) Requirements for a Membership: Min. Age 21. Interest on Clan-Live, Training, Fights ect. No membership in a other clan. (3) The contributions must pay in front of each half year, latest on 30. of the pay month ( April and Oktober ). Who up to this date did not pay from the clan is excluded. The directorate decides exceptions. The contribution will be defined from the complete costs divided by 85% of members. When someone leaves the clan, we don’t pay back the rest of money. What we do, if we have to much money, that’s will be defined by the directorate. The contribution is 54 Euro per year at the moment. To pay the contribution start on the 1. Day of the next Month after the appointment to the Full Member. (4) Absences ( Holiday ect) must be written in Forum. (5) If you play on home server, you must use the D.A.K. Tag, otherwise it’s need a explanation to the directorate. (6) Membership means an active participation in the clan life. That means that a presence on our servers is necessary or also on servers of friendly clan.  Who not played more than 30 days on our server or not in the forum was active from the clan is excluded. A longer absence (vacation, illness) is possible if you write it in the forum. The paragraph 7. regulates exceptions. (7) Passiv (inactive)Status, If a member has big personally problems or has other important reasons for to need a break, he can make a request to the directorate and the directorate can give him the Passiv Status. The member must have a clear opionion, that he want come back to the Clan after this passiv time. In this Time the Member has no vote permission and is out of the active Clan Live. The membership-fee ( contribution) must be paid although in this time. (8) Sponsorship: Not active members can join the clan as a sponsor. The sponsors can be registered in a list on our Hompage. Sponsors do not have the rights of a member. Sponsors may not play with our clan tag. (9) With the appointment to a full member the statutes would be accept. (3) The directorate is alone responsible for the promotion and demotion without any veto rights. (4) All active members can nominate other members for promotion. (5) Medals are lent only for events on our servers. The executive committee can decide exceptions. (1)The majority of the members defined a official trainings day. (2) Constructional participation on Training is expected. (3) Absence form training must write in Forum. (5) Teamleader defined the tactic and discipline is expected. (1) The member for a Job will be defined with the majority of the members. (2) All Jobs include the directorate will be new defined over vote all 2 Years. (3) The directorate are the leaders of the clan. The management, organization and all necessary decisions are in the area of the responsibility of the directorate. (1) The Time as Members ends with dead, withdrawal or exclusion form Clan. (2) The membership can cancel every time with a message in Forum. If someone cancel over voice the membership, is that the same as over Forum and is. (3) If a member don’t follow our Clan Rules and make big troubles, then we exclusion him immediately. (4) The exclusion will be done by the directorate. The member get the message from the directorate. (1) Each members has the right to play Matches, comes to Clan Meetings and for to vote. Also could each member make a nominate and give inputs and suggestions. (2) All members of the directorate must be also a member of DAK Clan. They working voluntary and will be selected by the members. They are selected for 2 years and working until the new directorate is selected. (3) Leave one member the directorate, the members of the clan selected a new one for the rest of the terms of the office. Change of our Rules and dissolution of DAK Clan needs the 2/3 majority of the legal votes. (1) Bye each resolution will be accept the majority of legal votes. When the vote is draw, the request is reject. (2) The resolutions have to be written in Forum. (2) The treasurer must make a money report every year. (3) Voting about the money report. The member have to vote about the money report (agree with or reject). If the majority of our members agree with money report the report is acknowledged. When we dissolution our Clan, with the money we pay first the actually cost and the rest we spend to a charity organisation.